These simple chili-spiced avocado sweet potato tacos, topped with creamy avocado-yogurt lime sauce, make a delicious vegetarian dinner. This sweet potato taco recipe is an old favorite that I wanted to re-share with you. I first started making these tacos years ago, but it’s one of those recipes that I come back to time and time again because it’s such a filling & flavorful vegetarian weeknight dinner option. The list of ingredients is short and the steps are easy – what’s not to love? Plus, I just think roasted sweet potatoes are such a cozy wintertime food, especially when they’re wrapped up into warm tortillas like a big hug. Make the avocado yogurt sauce: Simply blend together Greek yogurt, avocado, garlic, lime juice, salt, and pepper. If you’re vegan, I’ve listed a cashew cream option in the recipe below. Vegan mayo would also be a great substitute for the yogurt. For a more herbaceous sauce, blend in a handful of cilantro. If you like things spicy, consider adding a chunk of jalapeño, to taste. Alternatively, this Creamy Chipotle Sauce would also be delicious on these tacos if you wanted to change things up from time to time. Roast the sweet potatoes with olive oil, salt, pepper, and chili powder. That’s it! Just assemble the tacos with the sauce, sweet potatoes, and black beans. This time, I topped mine with a few pickled onions. In the past, I’ve topped them with additional diced avocado (see the picture below). Lastly, I always, always, always finish my sweet potato tacos with a big squeeze of lime for extra pop! Preheat oven to 400° F and line a large baking sheet with parchment paper. 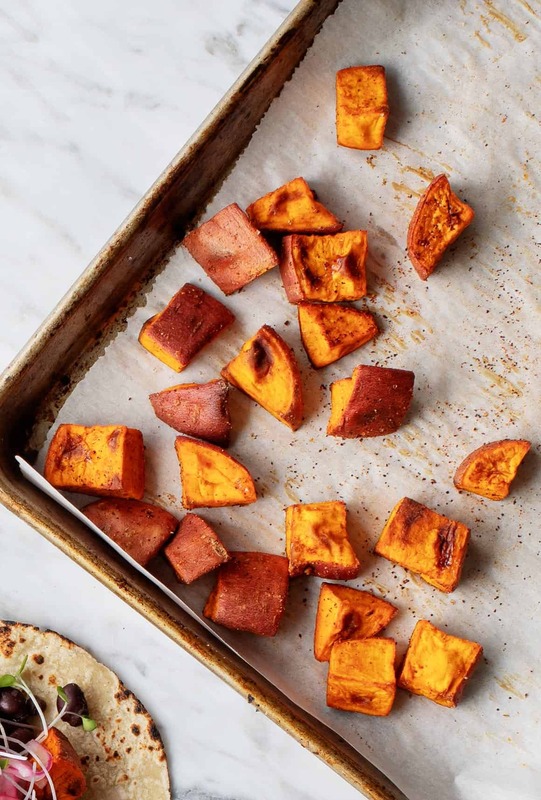 Toss the sweet potatoes with olive oil, chili powder, salt and pepper, and spread onto the baking sheet. Roast for 20 minutes, or until golden brown. In a small food processor, combine the yogurt, avocado, garlic, lime juice, and a few generous pinches of salt and pepper. Pulse until smooth. Taste and adjust seasonings. Chill until ready to use. Assemble the tacos with a scoop of the sauce, the roasted sweet potatoes, black beans, and desired toppings. Season with salt, pepper, and squeezes of lime. What a great combination! 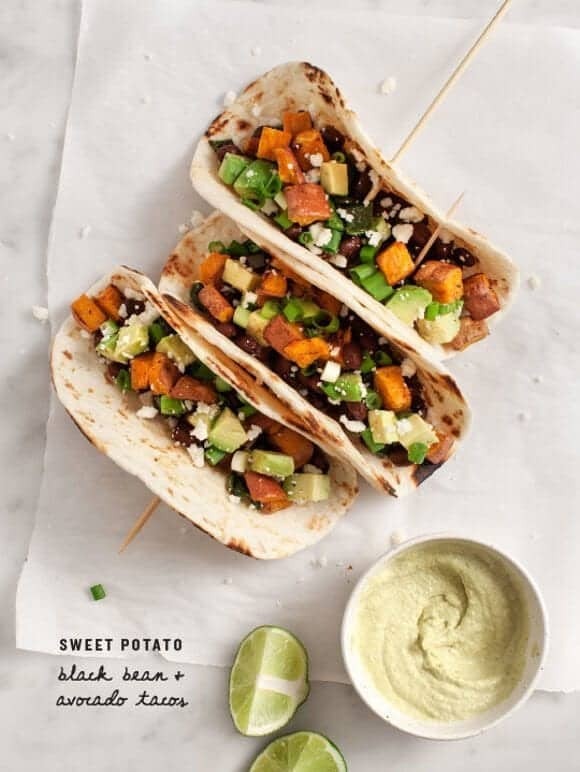 I never would’ve thought of putting sweet potatoes inside a taco, but I’m super excited to try it out now! This avo yogurt dip looks great. And yes, I use sweet potatoes a lot to bulk up veg meals as well. They are starchy enough and fiber filled to really do the trick for me and my husband in a number of different meals. Have fun at the Target demo! Yes, please! 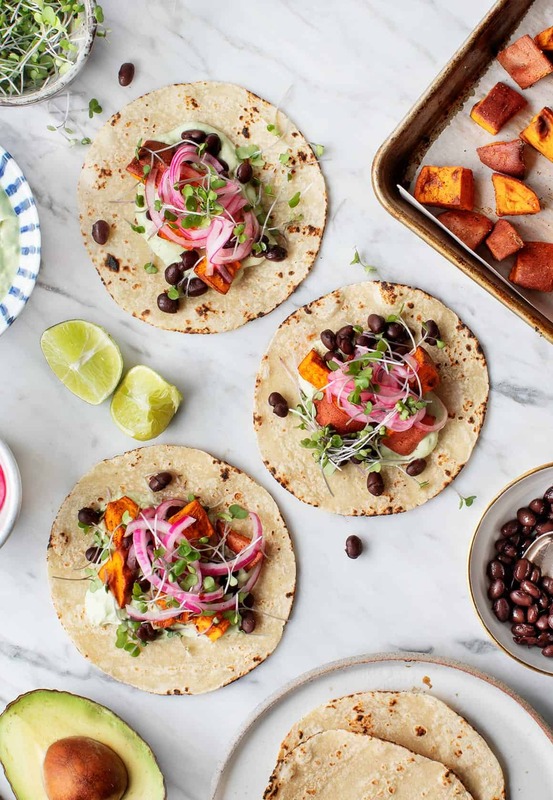 These tacos sound so good — sweet potato and black bean are definitely a perfect match, and the avocado just takes it over the top. I think the “filling veg meal” question comes up in part because people don’t understand how to incorporate non-meat forms of protein into their meals (not to mention healthy fats!). Beans and avocado are a perfect solution! I’m seeing so many yummy sweet potato things on the Internet today — YUM. I love it when a meat-free meal looks totally satisfying. This totally does. Your pictures are gorgeous, btw. Love this taco idea and your pictures are always incredible. 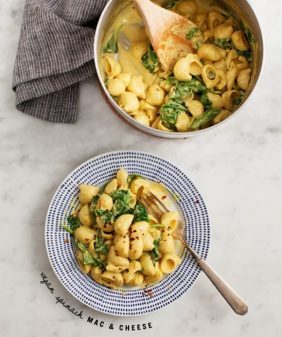 Congrats on your Target partnership, looking forward to more great recipes to come! What a fab idea! Really really fab idea. I’ve never wanted tacos more in my life! These sound delicious! I’m loving that yogurt avocado cream sauce! Yummy! I love love love sweet potaotes! Beautiful! Thank you for inspiring my lunch today! I just made this and yummy!!! This is so good! I love your website good food! After I finished eating, I am going to make your chocolate cupcakes with avocado icing! I can’t wait! Looks incredible. I think I could basically eat these tacos everyday for the rest of my life. YUM! This is definitely a combination of all of my favorite things! I can’t wait to try this recipe! Looks appetizing and healthy too. Avocado with sweet potatoes… great combo! I just made these for our Super Bowl dinner!! So VERY GOOD! Loved the yogurt sauce! “Put it in a tortilla” is basically how I get away with feeding my husband all of the random leftovers in our fridge without him catching on. I think I have made almost exactly this recipe (minus the avocado sauce, which will be a welcome addition next time!). Thanks (again and again) for the inspiration! Oh, sweet potatoes, how I love thee! And throwing a bunch of awesome stuff in a tortilla is literally my favorite way to put a meal together. I can’t wait to try this! 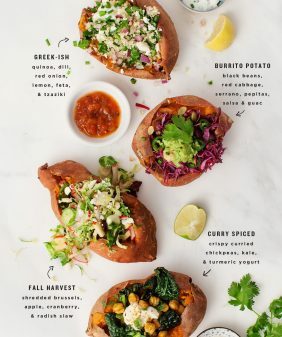 Oh boy, those sweet potatoes and avocados are breaking my heart. They look so yummy! 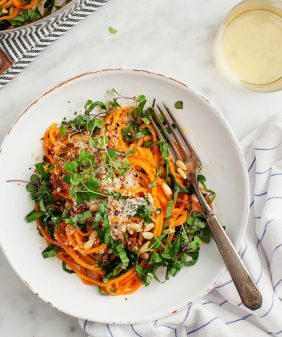 I’ve been wondering how to use sweet potatoes in some unique way so as to eat them more regularly due to their good nutritional value. This sounds like a great recipe and very filling. I’m definitely going to try this out this weekend. Thanks for sharing it! Made these last night, and my husband and I are singing your praises! The avocado yogurt sauce put it over the top. So incredibly tasty and satisfying! Thank you for all your wonderful recipes! Hi Beth, I’m so glad you and your husband liked them! These look like what life is about as fellow taco enthusiast and this is so easy for a filling and tasty dinner. Your photography is also beautiful. I’ve been on such a big veggie taco kick lately. Been using a crispy, spicy potato blend mostly, but will have to try sweet potatoes next. Maybe a bit (ton) of sriracha. Looks and sounds great! Beautiful and such a good idea, I’ve been looking for something just like this! These look and sound delicious! made this last night, was excellent. really liked the avocado yogurt sauce. will definitely make it again, and use the sauce for other things. thanks! These are AMAZING! I have made them several times since I first tried this recipe a few weeks ago. I have some sweet potatoes reheating for today’s lunch, actually. I didn’t make the sauce, but had some homemade guac, so I used that. Delicious! Hi Liz – so glad you liked them! Top marks for this. Tastes great. Thanks for sharing. I made these tacos this past Friday night. EXCELLENT!! I wouldn’t have thought of this ingredient combo. Thanks for the great recipe! Do you have the nutritional info on these tacos? Calories, carbs, cholesterol, etc. Thank you. I do love your site. So many wonderful ideas. One tacos contains about 245 kcal, and almost 10g fat. However, the fat is mostly vegetable (olive, avocado), so it’s good for our health. Additional sauce contains about 70kcal and 5.5 g of fat. If you substitute Greek yogurt with yogurt with reduced fat content, the dish will be less caloric and healthier. As usual Love and Lemons helps saves the day – or at least teatime! Made these last week as had some cooked sweet potato already cubed plus an advocado in fridge so was quick and easy. As usual the flavours were stunning. The lime juice in the yogurt also helped pull every ingredient together. Used Greek yogurt, is calorific, but far better for us all, than any processed pre-packaged meal. Felt very virtuous. Many thanks. I reaaaaaally want to make this, but greek yogurts where I live is too expensive, and cashew nut season is over. Can I use peanuts instead? Hi Jen, I wouldn’t recommend peanuts – instead of the yogurt sauce, I would just make a quick guacamole to put in the taco – mash an avocado with lots of lime juice, salt, pepper and maybe a little chopped fresh cilantro if you have it. Hope that helps! Made these and they were absolutely delicious! Also, just a little tip…used Trader Joe’s corn and wheat tortillas. They are a little less corn-y for those who don’t really love corn tortillas. Such a great recipe for the vegetarian always trying to find a healthy and satisfying meal! I’m alone this Friday night with a sweet potato at hand. So what else, but I whipped up a couple of these sweet potato and bean taco-burrito thingies… and found them deeply satisfying. I even think my dear carnivorous husband would enjoy them. We will soon find out. 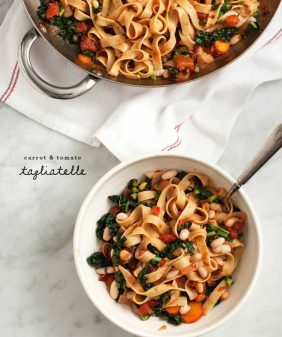 I came across this recipe and thought the picture was lovely. I was hesitant to try it just because the combination of the ingredients. I decided to just make it. I did and I will say I was afraid to try it. Sweet potatoes and avocados just couldn’t make sense in my head. Man oh man. In.cred.ible!! I have now made this so many times and me and everyone else is in love with this. THANK YOU!!! And I bought your book and can’t wait to try more recipes. This sure looks yummy. I don’t think I would regret making one of this. Thanks for sharing! These are so good! I’ve made these about five times now because they are easy and so delicious! I’m pretty obsessed with the yogurt avocado sauce and make all the time to dip quesadillas in or put on nachos. OMG, I just made these and they were AMAZING!! I made my sweet potatoes in my air fryer. These are going to become a regular in the rotation FOR SURE!!! So good. Thank you!!! I will try this for dinner. Healthy and yummy. There is no way we can’t avoid this sweet taste of the potato avocado tacos. Can’t to try them with the yogurt sauce. Great work and thank you. Hi Carol, I’m so glad you love the tacos! Black beans and corn sound so delicious! Love these, very simple and yummy. To make it vegan, I substituted the avocado and avocado yogurt dressing for just guacamole. Also, I fried the sweet potato rather than baked it and it was very crispy. Also I added some paprika to the sweet potatoes which was also a good addition! I’ve made this twice now and people freak out at how delicious it is! Making it again tomorrow night and I cannot wait. I made these tacos today and they tasted amazing! It was a quick and satisfying meal. Thank you for the recipe!!! I’m so glad you loved them!! These were great! 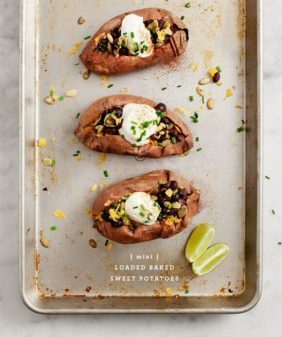 I had some sweet potatoes and avocados I needed to use up and then stumbled upon this recipe. I was afraid of having the sweet potatoes and beans togehter and being starchy, bland. But the avocado yoghurt did the trick, alongside with the scallions. You have pretty much created a recipes that involves all my favorite foods (okay, well besides oatmeal) and I cannot thank you enough for that. 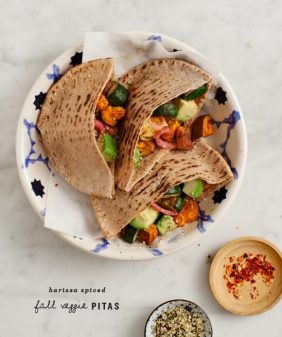 I in general adore all your taco recipes – like that butternut squash one – and they are perfect for a quick yet yummy dinner option. Speaking of, exactly what I need tomorrow 😉 Have a lovely week. Ha, these are pretty much all of my favorite ingredients too :). I’m so glad you loved the butternut squash tacos as well! Tried these tonight. Wonderful. Great avocado yogurt sauce. My ‘need meat’ husband really liked them too. Thats big. ha ha, I’m glad you both loved the tacos! Wow, these tacos looks totally amazing. Taco Tuesday here I come! This look so delicious Jeanine! I’m a massive potato tacos lover! Thanks Trisha, I hope you love them! Ooh these look delicious! I’ll keep this in mind for next time I go shopping so I can buy the ingredients. Yay, I’m so glad these made it to the rotation! Just tried these for dinner tonight and they’re fantastic! Coming back for more next week!